With the increase in buying digital versions of PS3 titles and the amount of free titles PS+ has been offering I decided that it was time to upgrade my 120gb hard drive and install a 500gb version. 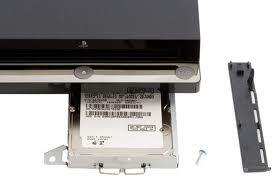 Here is a step by step guide on how to upgrade the hard drive in the PS3 slim models. If you have game save data or anything else you want to keep on your PS3 that you want transferring to the new replacement drive then you will need to back up your PS3 on an additional external hard drive. This is a simple process which I will explain below. Go to SETTINGS, followed by SYSTEM SETTINGS, then BACKUP UTILITY and finally BACK UP. This will now back up all of your data from your PS3 onto the external drive ready to be re installed when you have upgraded the PS3 hard drive. Connect you external hard drive that you have backed up your PS3 with to a PC, Laptop or netbook. The external hard drive will have a new file now called PS3. Open this file and create a new folder. Call this folder UPDATE. You are now ready to Replace the old hard drive from your PS3 and replace it with your new one. Here is the step by step guide on how to do so. 1) Turn your PS3 off, and disconnect it from the power source. 2) Turn your PS3 upside down. 3) You will see a latch below as pictured. This can be removed easily and then carefully undo the blue screw below it. 4) Detach the face plate under the Blu ray drive, this slides easily to one side and then removed. 5) Behind the removed face plate you will see the PS3 hard drive rack. There a wire handle, just slid the hard drive rack out. 6) To remove the original hard drive from the rack, undo 4 screws at each corner of the rack. 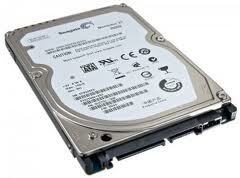 – The replacement hard drive you should be looking to use is the same as in most laptops and notebooks and readily available from most places as well as online and the prices are making it great value for money to upgrade your hard drive rather than paying out for a new PS3 with a bigger drive installed by Sony. You will need to look for a SATA notebook (2.5”) hard drive. These can be found in varies memory sizes ranging from 20gb up to 1000gb. The most common to find range are the 250gb, 320gb and 500gb versions by companies such as Western Digital, Samsung and Hitatchi. 1) There are two types of SATA drive. These are SATA-150 and SATA-300. The differences between these are their transmission speeds. The 150 drive works at 1.5gb/sec and the 300 drive works at 3.0gb/sec. The PS3 system supports 1.5gb/sec so paying extra for the SATA-300 drive is redundant as you will not get any extra performance for the price. 2) The speed of the hard drive. The two types available are the 5400rpm version and the 7400rpm version. The hard drives in the PS3 are 5400rpm versions. By increasing to a 7400rpm version you are going to be making the PS3 run hotter than it is intended. This could potentially cause an issue similar to the launch model 60gb PS3’s where they would heat up and fail. This is a potential risk to consider so for peace of mind and a degree of safety I opted for the 5400rpm version and i would recommend the same. 8) Insert the replacement hard drive into the hard drive rack. 9) Re attach the screws to the hard drive rack at each corner and slide the rack back into the PS3. 10) Replace the faceplate at the front of the PS3 and then redo the screw at the bottom of your PS3. 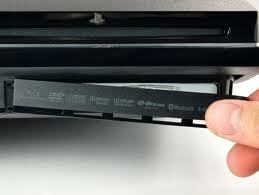 11) Replace the latch back onto the underside of the PS3 and turn the system the right way up. 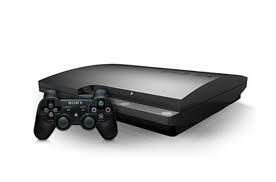 12) Now turn on the PS3. Your hard drive is now upgraded. You will now need to format the drive. Instructions on how to do so are below. Go to SETTINGS, followed by SYSTEM SETTINGS, then BACKUP UTILITY and finally RESTORE. The PS3 will now begin to restore the data from the external hard drive that you previously backed up before replacing the internal drive on the PS3. This process time depends on how much data is being restored. Expect it to take in the region of 2-3 hours for 100gb of data. Once finished the PS3 will need to be rebooted. Your PS3 now has a new, larger hard drive ready and waiting to be filled up with plenty more games so time to start. I unfortunately never backed up the files before i formatted the old one. Is there anywhere i can get this software again? Apart from another ps3 hard drive? now if i go to sell my upgraded ps3, will i need to reformat both the original and new HDD’s to clear that PS3 from showing as one of my linked consoles? or just clear the upgraded one and keep the original and all will be good? As far as I am aware you would only need to reformat the hdd inside the PS3. You can but you need to be aware of the issue with the rpm speed. 500gb and lover generally run at 5400rpm which is what the system is used to. 1tb drives usually run at 7200rpm which is faster and therefore runs hotter so you would need to make sure the playstation is well ventilated. 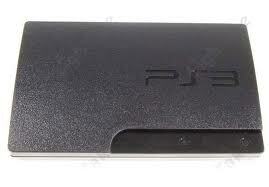 In my personal opinion I would not put bigger than 500gb in an old ‘fat’ style ps3 but I would be happy o put a 1tb drive in the ‘slim’ and ‘superslim’ models but as I said, this is my personal opinion only. Let us know how it goes and what you opted for. One thing to bear in mind that isn’t mentioned in the article (Jedi, can we get an update?) is that the maximum height for a drive in the PS3 is 9.5mm. Anything taller than that and it won’t fit in the drive caddy. So yes, you can put a 1TB drive in, but it has to be a single-platter 9.5mm tall drive. Great Guide. Was having issues with recognizing usb drive but thank for the info. any thoughts on using a Solid State Drive instead? Although I haven’t personally tried it I have heard that using a solid state drive does work as long as you get the correct size. SSDs will work in the PS3, but they’re pretty pointless. The SATA interface in the PS3 is the original SATA 1, which is simply not fast enough to get anywhere near the best out of your SSD. You won’t get the speed bump you expect, and given that SSDs still currently have a much higher price point per gigabyte, I would recommend a large mechanical drive to get as many games on as possible. The PS4, however, does support higher SATA speeds as far as I’m aware, so in a few years when SSD prices drop to competitive levels, this upgrade will be reasonable for those consoles. Where can I buy one of these hard drives?? All I can find are the SATA-300 versions. Any advice would be great! Awesome article! Where have you been looking? If you ask in most PC stores they will be able to help you or failing that I have seen them readily available second hand in shops like CEX in the UK. Are you wanting to buy online or via Walk in store? The SATA-300 versions are the minimum you’ll get these days, but don’t worry because they’re backwards compatible – all SATA drives are. Even a SATA III (6Gbps) model should go in fine. Hi there – thanks for this which has been helpful so far but I am stuck! – I have downloaded 4.5 to a memory stick in update folder but when I switch ps3 on with new hard drive installed if tells me “no applicable update data was found, connect storage media that contains update data of 4.46 or later then press start and select at the same time” – which I do only to get the same message – any idea? Ive looked into what may be causing you this issue. Be sure to save the update data as noted below. If the data is not saved in the correct way, the PS3 system will not recognize the update data. The folder name must be in all uppercase letters. •Location: Save in the “PS3″ folder >”UPDATE” folder. •File name: Save as file name “PS3UPDAT.PUP”. I hate to sound like the guys from the I.T. Crowd tv show but its probably best to go through the obvious to tick them off. Have you tried deleting the UPDATE file and then recreating it and redownloading the firmware from the Official PlayStation Website. I know it’s going back to step one but there may have been some form of interruption during the download process. Try a different USB stick, that is what worked for me. READ MY POST ON USB’S!!!!! Where can your post on USB’s be found? I had this exact same issue… It’s the contact with your usb. READ MY POST ON USB’S….. Hope it helps I was frustrated for days!!!! ok, happy to help. One thing that comes to mind is to find out if the drive was set to FAT32 or NTSC. This seems to be what is catching a few people out. You will want it set to FAT32 and then try again. Hope this helps. let us know either way and if not we will go from there. i believe the hdd is already fat32 as the ps3 wouldn’t accept it . its only when you turn it off then start again that you have to boot into safe mode and repeat the start system routine. we think this might be an issue with the latest playstation update ? also if the hdd was ntsc would we be able to even start the playstation ? I have heard of a couple of issues when it comes to downloading the firmware. I would recommend downloading the firmware again and redoing the process to eliminate any ‘bugs’ or errors from a potentially corrupted download previously. many thanks will pass on your msg and let you know how he gets on . It would seem to me that there is an issue with how the last update was downloaded. Maybe an interruption in the connection perhaps but I would guess that some part of the code or similar issue has happened causing the system not to read it properly. I would recommend re downloading the firmware and then trying again. If this doesn’t work then we will search out any other reasons for you but this one has even us stumped a little. We will get down to the bottom of it though. many many thanks for your reply i will get back to you asap and thank you all for your help. my father has redone the download and the problem is still happening.very frustrating.the ps3 boots up ok if you take out the hd but when you put hd in you have to boot in safe mode . so if you take out the HD in question and put back in the original HD then everything works fine? Every step we have mentioned has been done and the file names are exact including upper/lower case lettering? Do you have a spare HD you could try? It would be good to find out if its not the new larger HD at fault. A previous viewer of the site had an issue and it turned out that the new HD he wanted to use for the upgrade had a fault and when replaced it worked fine. so if i get a SATA-300 will it effect my ps3’s performance? From what we can tell no, there would not be any discernable difference in the performance positive or negative. If you notice anything personally then please let us know and we can mention it but as I said, from what we have seen from our own upgrades there hasn’t been anything of note. will do! thanks for the tech tips an reply i appreciate it. thx for your reply and all your help.the ps3 has a built in 12gb hd , when you take out the new hd the ps3 boots fine from the internal hd.my father has changed the hd for another one and even got a replacement hd but the same problem always happens.he has redone the update right and tried this many times but still the problem continues.it seems there must be an issue with the internal hd not switching off ? surely you can upgrade a ps3 slim with a 500gb hd without all this hassle.we have researched online and lots of ppl have this issue , my father has even phoned sony who told him theres nothing they can do and they havent even heard of this issue ? I’ve got a suggestion but not sure if it’ll work. Make sue the latest Firmware is installed on the internal 12 GB HD, boot into safe mode with new HDD installed, format HDD and in theory it should acknowledge the bigger HDD. he has tried this but the problem is still there.when he boots up he has to boot in safe mode , in safe mode it only gives 2 options 1 restart the system option 1a change the storage . all other options are greyed out . is the latest(and best firmware ) to use 4.53 ? I am having the same issue as jason. I am currently 3 hours away from a full format. As described, when booted in safe mode the console recognises the hdd, but after turning off and on, it tells me “appropriate storage not found” frustrating as i got my super slim for xmas and have only managed to clock up about 4 hours gaming time due to technical issues. we are having some success at the mo , my father had a free trial with playstation plus when he bought the console ,it ended so he has deleted all games and info from the flash drive then booted back up and it seems to be working . steve have you had a free trial with playstation plus ? Everything went brilliantly, until I tried to download a game from playstation plus instant game collection. (Reason I upgraded hd was to make room for these free downloads), on pressing download it said this is for plus subscribers only. I am and it shows the little yellow cross on my avatar bar. It works fine on my ps4 but not on the PS3 since last night when I put a 500gb hdd in and restored all from external hd, has it left some vital price of info behind ? Can 12GB Hardrive change to 120GB Hardrive? Yes the hard drives can be replaced with any size you want to. It was one of the reasons the 12gb version of the PS3 was so popular as it was a cheaper way of getting the hardware to then upgrade later. I have just upgraded a 12GB PS3 with an old 40GB HDD, its was an experiment and the HDD came form a dead PS3. Anyway, I now have 25GB of 37GB available. I understand the 37GB rather than 40GB but what happened to the other 12GB? I had to format the drive and there is only a couple of saved game datas transferred over, nothing like 12GB. Any ideas? May I just say that I finally managed to make my new HDD work when I connected a separate USB stick with the PS3/UPDATE folder setup. What external hard drive did you use? I have the internal hard drive already, my external hard drive just isn’t working at all. I need to find an external hard drive that is compatible with the ps3. When I put in the new hard drive the PS3 does nothing any ideas? I had a ps3 slim 320GB and it got smashed up but The HDD seems to be okay. Unfortunately I did not back up the system. If i were to get another slim or super slim with less or equal harddisc space and installed the 320GB HDD, will the new system still reformat the HDD and will i not be able to keep my saved files? I am planning on getting a new hardrive a 320gb sata…. Do these hardrives already come formatted to a fat32? If not how do it do so ? No you get a usb goto Playstations official download 4.66 get a SanDisk Cruz usb (wallmart 14 bucks) download it please follow the steps carefully that they provide. Reformat it erase the safety content stuff where nothing is left and name it PS3, caps!!! Than do the folder 📁 downloads listed by the network ….read my post on usb’s if your ps3 seems to not even seem plugged in …. Holy crap spent numerous time doing the 4.66 download. Didn’t register the usb right??? Well play with that plastic p.o.s. Hard drive enough it might flash on your ps3. Guess I’m a fool but sure enough 4 usb’s later I was a pro with the formatting. Here’s why your usb probably doesn’t get registered ; I took a small piece of paper put it underneath it shoved it in the hole and presto it works download and all. One other thing the usb port didn’t work on the second hole until I did that. Coincidence I think not…. So i followed the instructions and everything seemed to go to plan. However when i turn it all back on i get a message telling me to connect a controller via USB and hit the PS button. i did this and nothing happens it just sits there. i removed the drive and put the old one back in same thing. what am i doing wrong here? I have a ps3 super slim, and it is having an issue I cannot seem to unblock. I was playing NHL 09 when my playstation froze and immediately shut off. It hadn’t overheated, because the body was only slightly warm. I turned it on and on my tv, it said the HDD was corrupted and needed to be formatted. I entered the system BIOS and completely formatted the HDD(also put it into my pc). When I turned it on, a red screen showed up and had binary fuzzing in and out. I turned it off and entered the BIOS again. Instead of showing that little menu, it had a text box saying that the HDD has been corrupted and possibly may of picked up some sort of worm virus and I must immediately remove my HDD. I had done that and it had also said that I must contact Sony immediately. I later had done this and I was walked through some sort of procedure to send them my HDD. This was actually what caused all of PSN and everyone’s account to be lost forever. I received a new HDD from them and now I am having problems with installing the OS, because it had asked me to install some really weird firmware, I think 0.63. I created the files PS3/UPDATE/PS3UPDAT.pup in a flash drive and downloaded firmware 3.55 in the UPDATE folder. I need help fixing my HDD so I can put 3.55 back on,because it now has 4.66 and it won’t load the OS. What can I do to install the older firmware, because as it downloads, it says the data is corrupted. I have been creating my own custom firmwares for quite a while now and I have never in my life ever seen anything like this. I have no panel and no blue screw… Now what? you can find SATA 2.5 drives that are 5400rpm 1T drives on Amazon for cheap …. if you dont have data on your old drive can you just pull it out an put the new hard drives in it ? an will it just work? 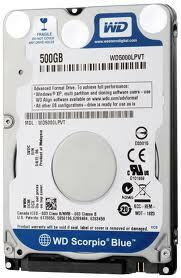 I have a Ps3 slim 250gb and I’m thinking of upgrading to a WD 750gb (WD7500BPVX). can you tell me if this will be suitable? Cheers! Can i use any 2.5 inch hard drive? You can put an external drive in the USB port. Then you can save a lot if data there. I’m planning on doing this soon, but one thing I will suggest to everybody, is to go with solid state drives, or ssd. They do cost a little more, but the system will run a little more quit key and as with the laptops it will be running cooler, more efficiently, and with faster access since there are no moving parts to it. I think I am going to upgrade to a 250 SSD. It’s going to cost a bit, but I live my system and use it all the time for my Gran Turismo game and God of war. Plus some of my downloaded games as well. Your download and upload speeds to and from the Internet may not change much, but anything you’re accessing on the hard drive you will notice the difference immediately. Good luck in your upgrade adventures. That’s silly, the interface bandwidth is too low to truly benefit much from an ssd (the same is even true with a PS4). I don’t have data to back up, my PS3 hard drive died. I bought a new hard drive last night. Do I need to back up my data still? and of so how when the system won’t load? Anyone out there know about a PS3 hard drive that is dead and how do i get the new hard drive to be recognized?